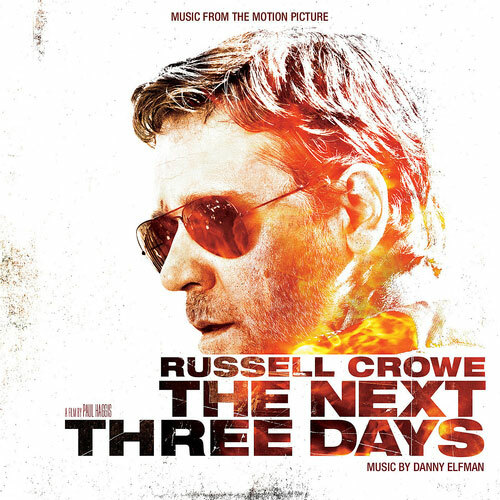 Danny Elfman’s impressive piano-led score to director Paul Haggis’s tense thriller, starring Russell Crowe. The soundtrack includes two Moby songs, Be The One and Mistake, the former a brand new track scheduled to appear on Moby’s new album in 2011. Perhaps best known for his work with Tim Burton (Edward Scissorhands, Beetlejuice, The Nightmare before Christmas, Charlie and The Chocolate Factory, Alice In Wonderland), Danny Elfman’s celebrated film scoring career stretches back over thirty years and spans such huge brands like Batman, and Spider-Man. His Television work includes the signature themes for The Simpsons and Desperate Housewives. Paul Haggis is an award-winning filmmaker, winning both Academy Award for best picture and best screenplay for Crash, also known for writing screenplays for outstanding Clint Eastwood productions Million Dollar Baby, Flags of our Fathers and Letters from Iwo Jima. His recent blockbuster hits include Casino Royale and In the Valley of Elah. “I cannot imagine a better collaboration than the one I had with Danny. It is an unarguable fact that he is a musical genius” – Paul Haggis.